Mix the hamburg with the onion powder, oregano, Parmesan cheese, bread crumbs, egg, milk, salt, and pepper. 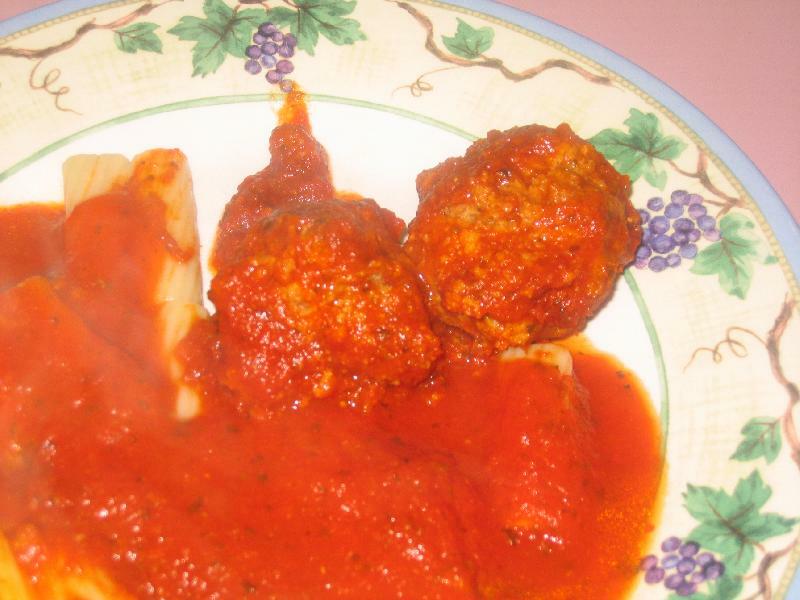 After the ingredients are mixed roll into balls and place into crock pot. When all of the meatballs are in the crock pot pour the spaghetti sauce over the top to cover. Set the crock pot on high for three hours.